I-84, M.P. 27.6 - A view of the current traffic situation. Caldwell, Idaho: Black Canyon - I-84, M.P. 13, 14.3 mi. Boise, Idaho: Flying-Wye - I-84, M.P. 49, 22.7 mi. Horseshoe Bend, Idaho: Horseshoe Bend Hill - SH-55, M.P. 587, 24.4 mi. 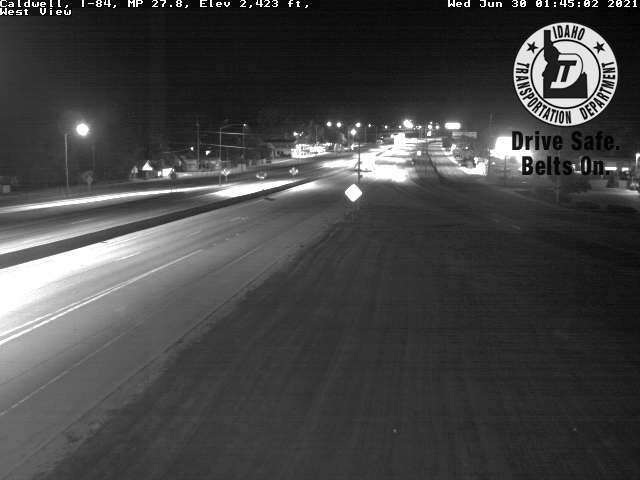 Fruitland, Idaho: I-84/US-95 - I-84, M.P. 2.1, 24.5 mi. Boise, Idaho: Broadway - I-84, M.P. 54.5, 25.1 mi. Boise, Idaho: Isaacs Canyon - I-84, M.P. 59, 28.7 mi. Barber, Idaho: Highland Summit - SH-21, M.P. 14.3, 33 mi. Jordan Valley, Oregon: US95 at Jordan Valley, 51.3 mi. 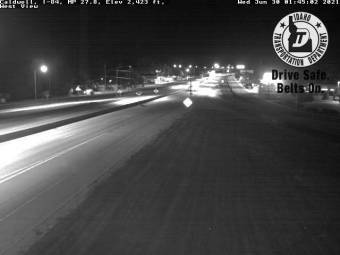 This webcam Caldwell, Idaho with the theme Traffic was added on March 20, 2012 and is operated by Idaho Transportation Department. It got 339 visitors since then. Shouldn't this webcam work or should the link be wrong please report that here. You can add this webcam here to myCams.